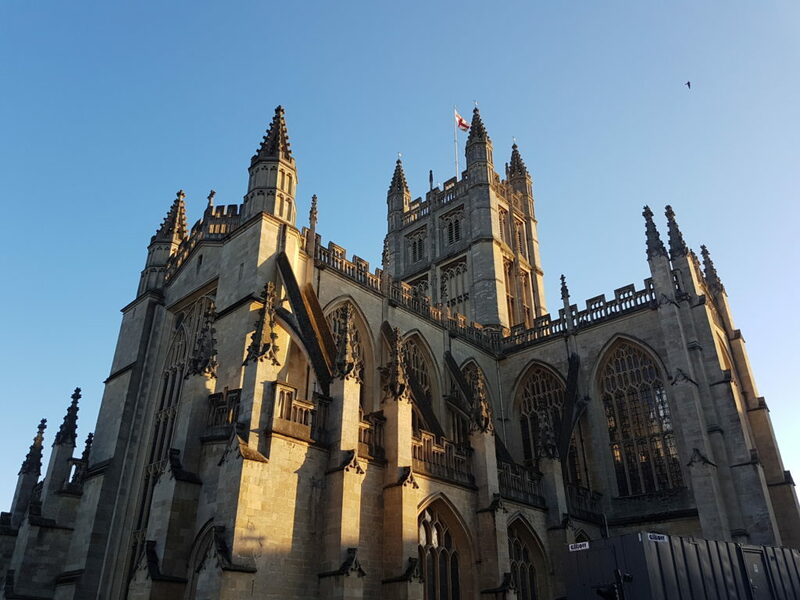 A few weeks back, we attended the parish Communion service in the Bath Abbey. Two children were baptized in the service. Baptism services always get me thinking. While I attend a church that practices only believer baptism, I think that infant baptism was practiced in the New Testament church and is therefore biblical. I concede that the scriptural support of infant baptism is contestable, but what is incontestable is the practical superiority of infant baptism as a ritual that prepares us to resist modern idolatries. On two occasions in the service, once from the altar and once from the Victorian baptismal font by the entrance of the sanctuary, the officiant emphasized the community of believers that was at that moment gathered around the child. This community is to be “the resources and support” to the parents of those about to be baptized. The importance of the community and its relationship to the child about to be baptized is central to the ceremony. Interestingly, the vows made by the community were almost exactly the same as those made by the parents and godparents. They promised to “welcome and uphold” those about to be baptized, to “pray for them” and “draw them by example into the community of faith and walk with them in the way of Christ.” They too acknowledge their limitations by promising, “With the help of God we will.” So many people are committing to these children, and they just lay there oblivious to it all. That every adult within the community has the responsibility in drawing the individual into the community. That human effort alone is insufficient to draw the individual into the flock. That the body of Christ, comes first– the eye is there for the body, not the body for the eye. That this is all about Grace; I was welcomed into the family of God, and I could do nothing but drool. Where churches practice believer’s baptism, a “baby dedication” replaces baptism to commemorate the inclusion of the child in the church community. While the congregational will often make a promise, the focus of this, usually casual, event is on the commitment of the parents. In the believer’s baptism, the role of the community is as a passive observer as the baptism is the result of the individual’s decision to follow Jesus. As in modern culture, in the modern ceremony of baptism, the role of the larger community is diminished and that of the individual is expanded. The Liturgy of Baptism we followed in Bath Abbey begins, “In baptism the Lord is adding to our number those he is calling.” The idea here is that through baptism, God is building a people. The liturgy begins with the recognition that baptism is about what God is doing. God is very active in baptism; he’s not just adding; he’s also calling, helping and giving. The liturgy declares that faith is a gift. A gift needs a giver. God is the giver and the gift is underserved. All Christians believe this, but human helplessness is better illustrated a drooling baby than a 23-year-old who has finally decided to follow Jesus. This is a rare word that means weekly. When you enter the Bath Abbey or any Anglican church, you walk past the baptismal font. It’s very large and it’s been there hundreds of years. The members of this church were likely baptized at this very font. 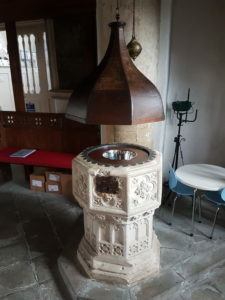 But even if they were not, every week when they gather to worship, they walk past this physical reminder of their own baptism–they are reminded again of the basic truths inherent in the service of baptism in the Church of England. I might be an exception, but the presence of the font in every church I entered, reminded me of my own baptism into a community that in its largest sense, includes the Anglican worshipers in the churches I visited this summer. I think that a weekly reminder of God’s grace and the community of faith might be a powerful corrective to the idolatry of individualism that so dominates our thinking in the modern church. Obviously, my argument here will not convince any believer baptists to become baby baptizers, but regardless of who we baptize when (let’s put baby dedication into here as well), we need to be deliberate about emphasizing God’s actions and the important role of the community going forward.